Ritu Bhasin – bhasin consulting inc.bhasin consulting inc.
Ritu Bhasin, LL.B., MBA, is the President of bci, and the author of Amazon bestseller The Authenticity Principle. Recognized globally for her diversity and leadership expertise, Ritu has received a number of awards and distinctions for her work. She has extensive experience delivering programming, consulting, and coaching across a range of people management areas with a focus on leadership development, diversity and inclusion, and the advancement of women. Ritu works primarily with senior leadership teams, boards of directors, middle management, and emerging leader groups, including women and diverse professionals. Ritu is known for her diversity and inclusion expertise in cultural competence and unconscious bias, and is certified to administer cultural competence assessment tools including the Intercultural Development Inventory (IDI) and the Intercultural Conflict Style Inventory (ICS). Ritu is also certified in neuroscience coaching strategies for leadership growth. Ritu has coached hundreds of professionals, and now coaches C-Suite leaders and other executives on building their cultural competence to be more inclusive. 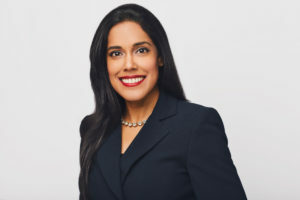 Before founding bci, Ritu spent ten years in the legal profession; she first practiced civil litigation, and then spent seven years on the senior management team of a preeminent Canadian law firm as director of legal talent. An inspiring and engaging speaker, Ritu presents globally on a range of leadership, inclusion and women’s advancement topics. She is a regular contributor in the media, including CTVNews, CBC, NPR Forum, and TVO. Ritu previously hosted Work It Out, a column on CBC Radio’s leading morning show Metro Morning, which focused on workplace issues, leadership, and diversity. Ritu is a member of NextGenLeaders, a network of preeminent consultants and coaches who focus on talent management and leadership development with global clients. Ritu also served as instructor for three years in the Executive Programs at the Rotman School of Management, University of Toronto. Ritu has volunteered in the community for over twenty years, acting as a mentor and sponsor to dozens of youth and young professionals. Ritu has also served in the community in the following capacities: as a member of the Toronto 2015 Pan Am Games Board of Directors’ HR Committee and Employment Advisory Council; on the City of Toronto’s Yonge-Dundas Square Board of Management; on the Board of Directors for the Canadian Centre for Diversity; on the Board of Directors for the National Association of Law Placement; as Vice-Chair of the Law Society’s Equity Advisory Group; and on the YWCA Toronto’s Board of Directors. Ritu’s recent awards and distinctions include: named a NALP 2015 Diversity Champion; recipient of the City of Toronto’s 2014 William P. Hubbard Award for Race Relations; recipient of Western University’s 2013 Young Alumni of the Year Award; named a Women of Influence 2012 Canadian Diversity Champion; and recipient of the 2011 Gordon Cressy Leadership Award from the University of Toronto. Ritu is also the Co-Founder of Insayva, a platform for self-empowerment that brings together the best of yoga, mindfulness, leadership theory, neuroscience, and coaching for those seeking personal and professional growth. She is a trained instructor in several yoga disciplines, and when she is not working you will find her in a downward dog. Ritu’s first book, The Authenticity Principle: Resist Conformity, Embrace Differences, and Transform How You Live, Work, and Lead, was released in 2017. For more information about Ritu please visit ritubhasin.com.